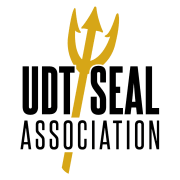 Interested in supporting a great cause and honoring our nation’s Navy SEAL Veterans and their families? * Maintain the long standing History & Heritage of the SEAL teams. Volunteers are needed to assist with registration, raffle sales, and help association staff with conducting silent and live auctions and handing out awards. This is our call to action to all who would like to come forward and help in this endeavor. Our tag line of "Honor, Service, Heritage" guides us as we strive to create the best possible future for those who have sacrificed so much for our freedom.